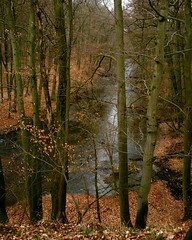 tie2fish wrote: Are the wading restrictions in your river regulated by a government agency? 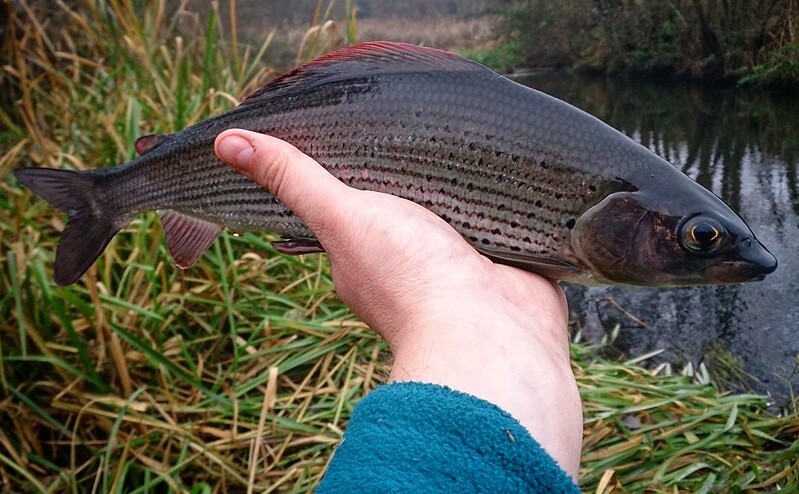 Yes, until may wading is forbidden, because of spawning grayling. Artur - I enjoyed seeing your latest set of photos. Beautifully stretch of water. This is delicious looking water indeed! You are very blessed indeed to have such beautiful water all around you. The sequence of photographs is very well done! It makes us dream of warmer, fishier times! A long time I was not here. I took mostly catching on tenkara. Below are some photos from last year. and the fish looks happy, had you just told him he is going back into the water? What a marvelous collage of photos. Thanks for sharing these with us! Arthur, so glad you're back. This is a nice set of pics. 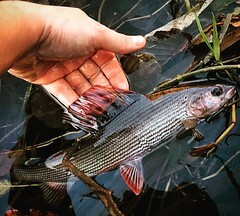 A beautiful combination of tenkara culture and grayling fishing. Something I'd really like to do sometime. Nice post. Please jump back into the mix. I've always enjoyed your take on all things soft-hackles. @hankaye: Of course, always I am telling this. Welcome back, Artur. The photos are terrific. The right hand photo on the bottom made me laugh. 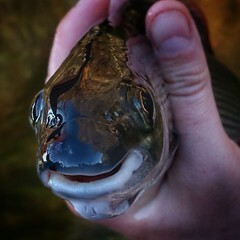 It looks like that fish is smiling back at me. What a great shot. 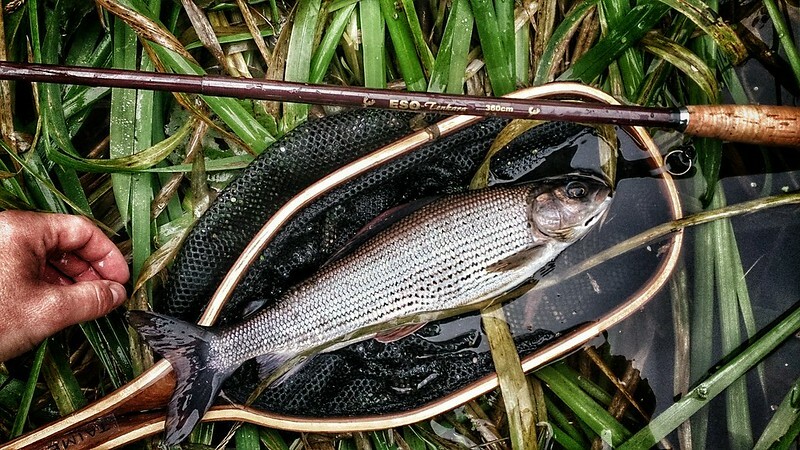 I spent much of 2015 using a Tenkara rod. I had a blast learning how to cast, and fight fish with the long flexible rod. 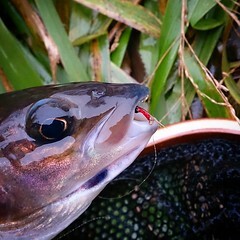 I found I could even fish streamers very successfully, once I had the right leader (thanks again Tom, for the furled fluocarbon leader - that thing was a godsend!). 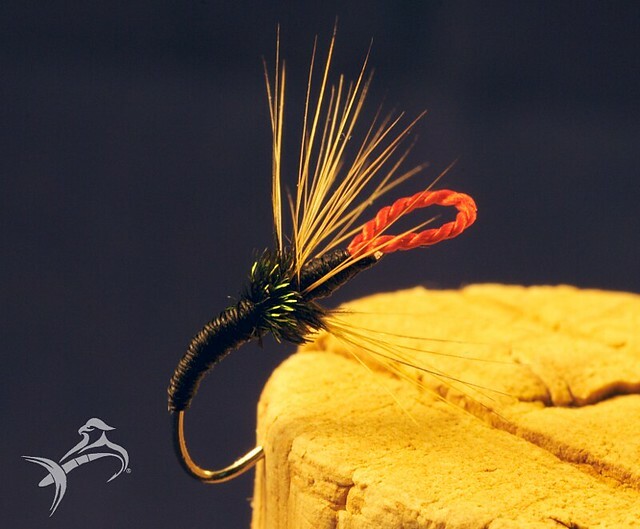 Artur - I'd love to hear more about your year fishing with the Tenkara rod. What did you like? What did you not like? What did you learn? Please share if you have time. 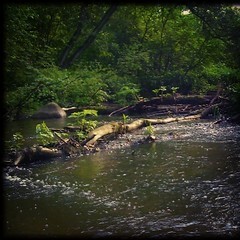 First of all, I newly discovered my favorite river. I think I caught all the fish species present there. I love the simplicity of this method and its amazing effectiveness. I enjoyed each stay over the water like a small child. I studied throws, how to approach the position of, how to give a fly. Everything was a little bit different than before.